I feel invincible, like I have Wonder Woman’s gold cuff on! 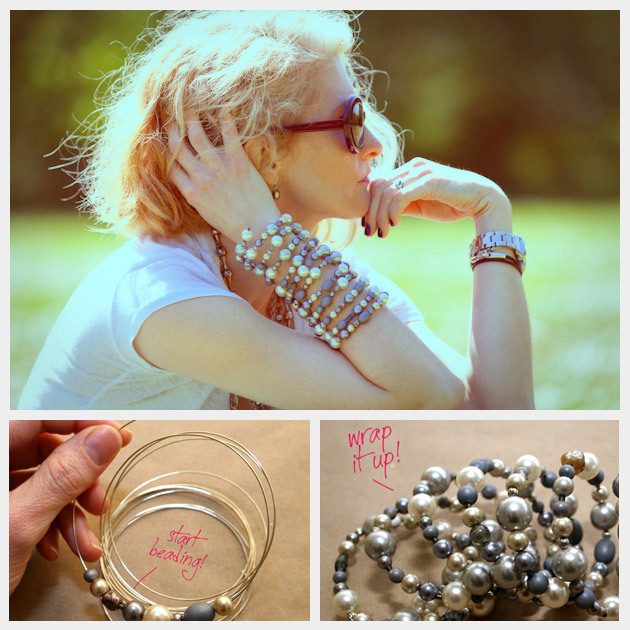 This Beaded Wrap Bracelet is so fun because it feels like a gauntlet on your arm. You can adjust the wire to fit snugly or to be loose and dangle, its up to you. I like mine tight, it makes me feel invincible like I have Wonder Woman’s gold cuff on! Beads – lots of them! 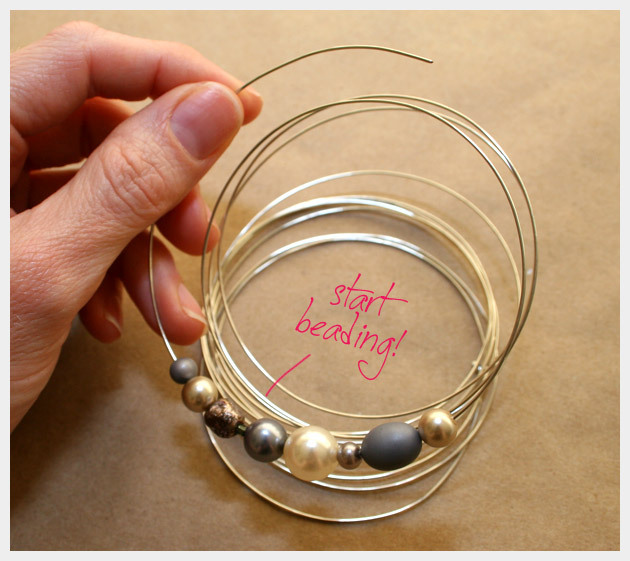 Using your pliers bend one end of your wire into a small loop. This will keep your beads from sliding off. Start putting your beads on your wire. I didn’t stick to a strict pattern with my beads. I like them to be a bit random, but you can do it anyway you like. I noticed that when I was putting the beads on the wire, my wire straightened out but don’t worry you’ll be able to coil it back up once you’re finished. Or better yet, use memory wire. 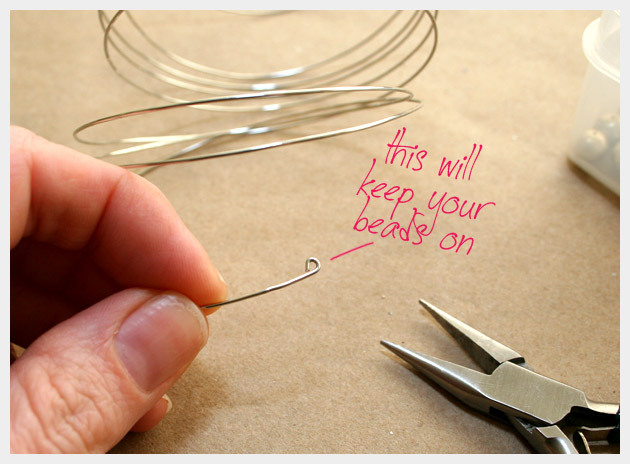 After you’ve got all your beads on your wire, using your pliers make another small loop in the end of your wire. Then if you need to you can re-coil your beaded wire. Once you put your Beaded Wrap Bracelet on you can tighten the coils around your wrist to make it as tight or loose as you like. Theres no doubt about it, Im a jewelry person. The bigger the better! But, what I really love are loads and loads of bracelets. 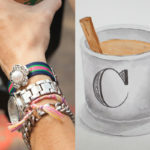 There are so many possibilities with this bracelet. 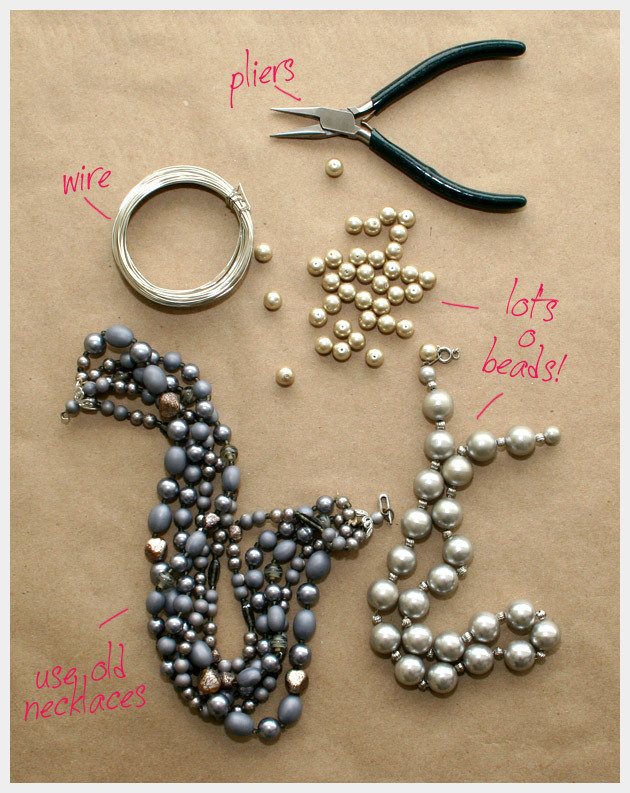 You can really go crazy and mix up your beads or keep them very simple and uniform. 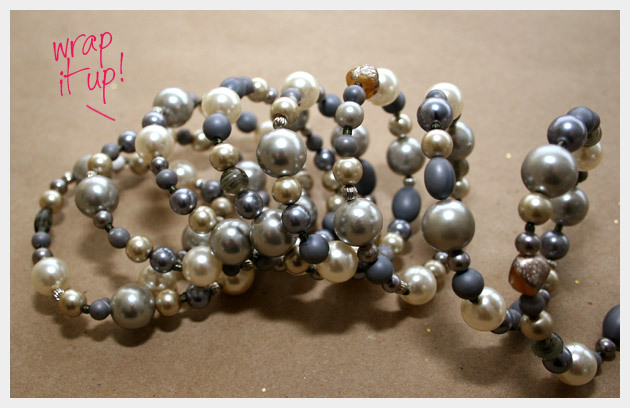 I liked mixing up larger beads with smaller ones to give it more texture. If you try this project let me know how it goes, I’d love to hear from you! I have made a lot of these bracelets using Bedalon Memory Wire. Never thought to use the 20 guage wire! I love making these. My friends love them also! My daughter and I made this braacelet what a blast. We went to flea markets to get our beads. This was part of my birthday weekend really great. Sounds like a great weekend! I love hearing about mothers and daughters getting together to make these projects! 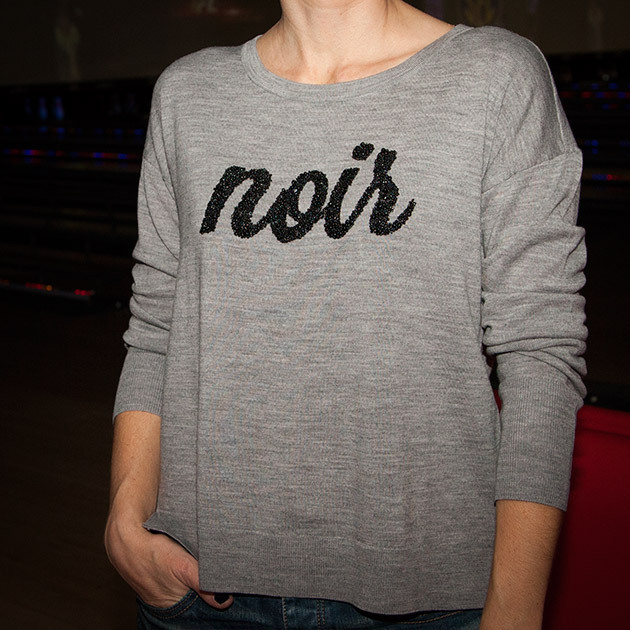 This is so simple and gorgeous and looks so expensive!! Next time try Memory Wire. It’s very strong and will stay in a coil… no matter what! Great idea! 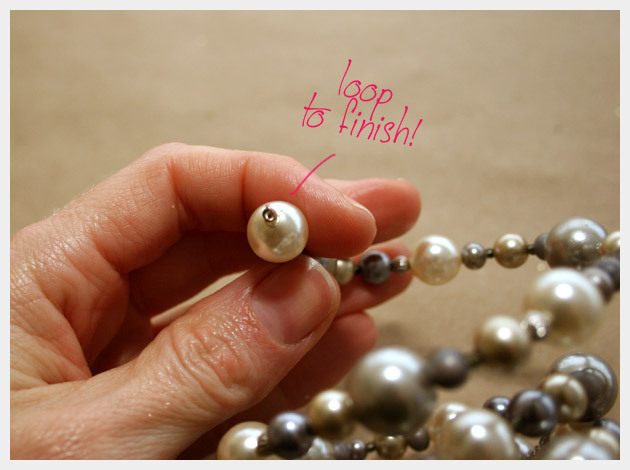 A charm or a special bead on a headpin hung on the end loop would be a nice finishing touch too.